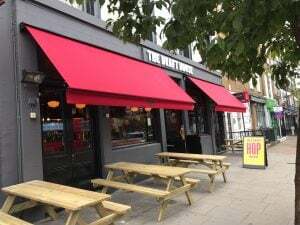 We supply and install a range of different commercial awnings. For example Folding Arms, Victorian, Drop Arms, Dutch Canopies, Fixed Frames are among the many options available to your business. These include standard budget awnings to ones that have options such as heaters and lights. These cassette awnings do not have a protective cassette for the fabric or arms to roll back into. 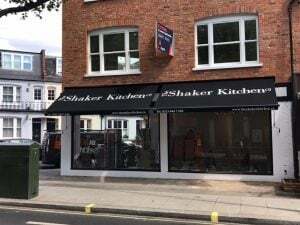 The Folding Arm Awnings are ideally suited to shops with large overhangs but they can be installed to any shopfront and really are the most basic awning system on the market. These have a top or a semi cassette for the fabric to roll back into. Consequently this semi cassette keeps the fabric protected when it is retracted at the close of business. 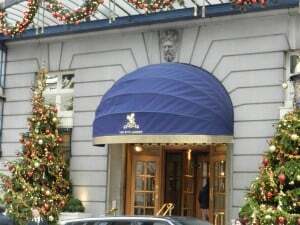 The arms generally are still exposed underneath the awning but are covered by the fabric valance hanging down. 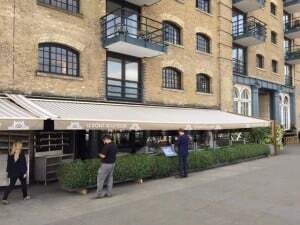 These semi cassette folding arm awnings are a step up from the open cassette and look smarter. The full cassette type fully enclose the fabric and the arms when the awning is closed. This really is the best solution to extend the life your shop awning completely protecting all of the parts when not in use. 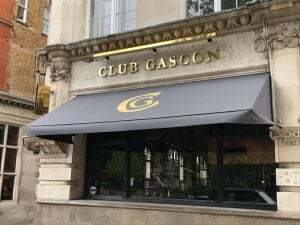 Most awnings have a white finish to the metal work but we use a German supplier that will be able to offer you 47 RAL colours for the same cost. 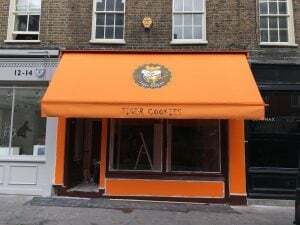 You will, therefore not only be able to personalise your awning with fabric colours but also have a metal work colour to suit the shop front, giving your business a professional look and standing out from your competitors. Folding Arm Awnings have a number of different options to choose from should you need them, such as motorisation, sun or wind sensors and vibrations sensors. 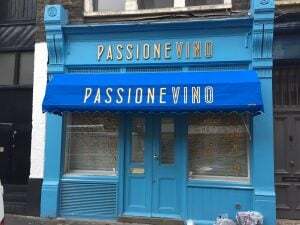 We can even have our in-house signwriting team help promote your business further by replicating your name or logo on the main awning cover. We can also signwrite the front valances, an ideal place to display websites and phone numbers. 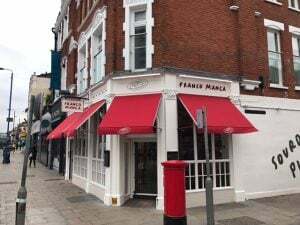 Radiant Blinds has been supplying and installing commercial awnings all over the UK since 1955 so you can rest assured the advice we give you will be the very best based on experience. Get in touch for chat about how we can help your commercial premises stand out.